Paper thin, these incredible Minecraft mobs populate this massive school art class as you go on an amazing journey collecting Star Stickers to fill your notepad. In a mix between the art style of Paper Mario and the “collect all the stars” gameplay of Mario Galaxy, go on an adventure with dozens of quests, fun puzzles, and battles of all kinds. There is always something different to do and so many secrets to find. 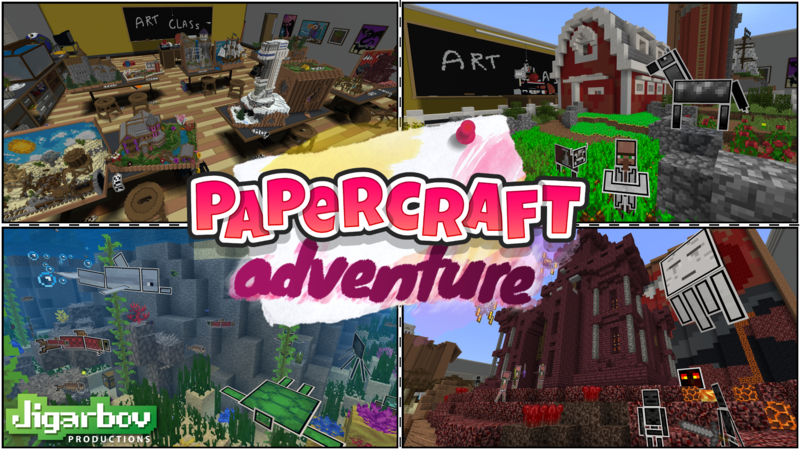 Papercraft Adventure is now available on the Minecraft Marketplace on MCPE, Windows 10 Edition, Nintendo Switch and XBOX! + 3-7 hours of adventure gameplay. + Over 50 quests like puzzles, stories, parkour, bosses. + Aquatic beaches, islands, castles, mansions, ice, & more. + Hours of fun in singleplayer & multiplayer. 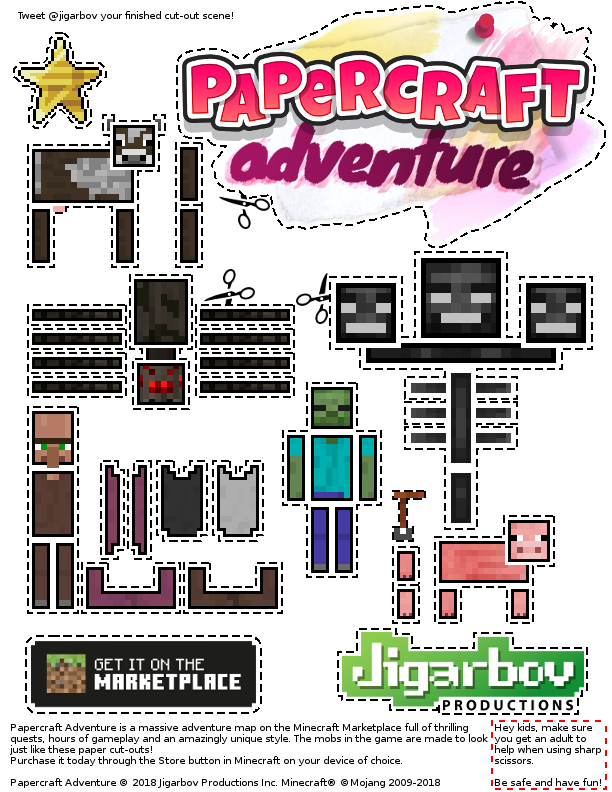 Plus get your free Papercraft cutout sheet. 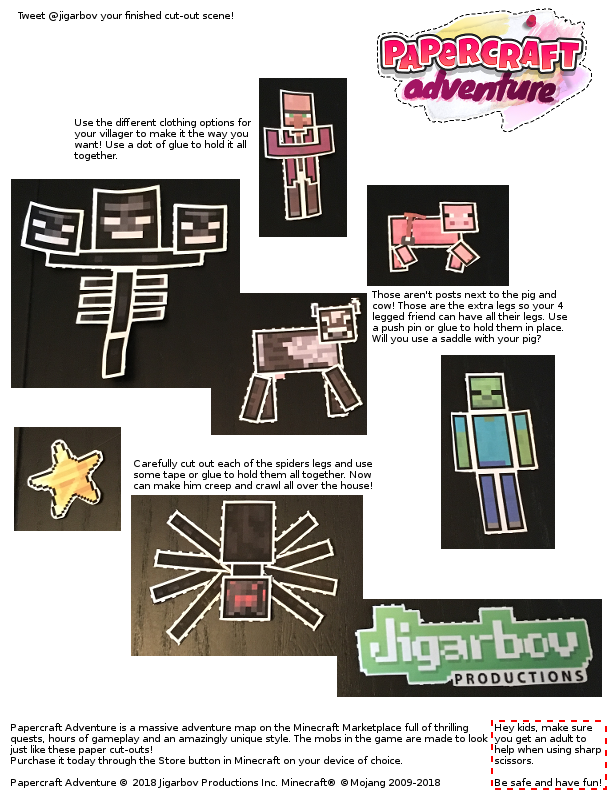 Print it out and create these Papercraft mobs straight from the game! 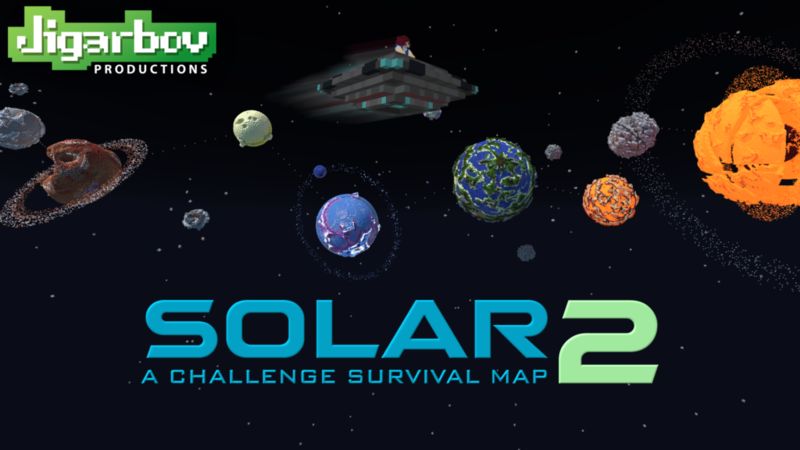 A sequel to the very popular Abstraction: SOLAR, SOLAR 2 features a bigger, better, more beautiful solar system to explore. Crank that chunk render distance up to view sights to behold. Whether it’s the update aquatic planet filled to the brim with briney swimmers or monster filled planets of terror. Your goal is to get the wool back to the monument to stop the sun from exploding even more! Get on Windows 10, or console, ios, android, anywhere that has the Minecraft Marketplace! You’re going to really have to think about what you know of survival. The resources are scarce and not where you expect. But you do get the full-fat survival experience including ways to kill the ender dragon… if you can find the right planet with the portal. You thought the first Monster Battle Arena was tough. It’s many years into the future, the monsters were experimented with in a lab and mutated into terrifying creates of destruction! All safely contained in the arena… or are they? They are at your bidding to fight you, fight others, and even fight among themselves. There will be no survivors. Mutant Battle Arena is now available on the Minecraft Marketplace on MCPE and Windows 10 Edition! + Over 18 scary mutants made with unique and varying behaviors. + Epic and challenging bosses! + Unlock unique weapons and trophies. + Includes a sci-fi adventure with voice acted story. + Story is a sequel to the story in Monster Battle Arena! + Spawn teams of mobs, or PVP in multiplayer. + Custom layouts and more.